We celebrate Women's Day on 9 August each year, yet most of us only have a vague idea of what the principles are behind it. We know that it's about recognising the role that women play in our society and in our lives, as mothers, sisters, wives and daughters. We perhaps also understand that there's a feminist or anti-apartheid aspect to it, mostly through the posts we read from our friends on Facebook. So we thought we'd take a closer look at the reasons why there is a Women's Day, and why as we celebrate we also need to remember the very real challenges that women face in our society because of their gender. Why is there a Women's Day? First we should note that there is a difference between International Women's Day, which falls on 8 March every year, and National Women's Day, which is specific to South Africa. Our National Women's Day commemorates the women's march to the Union Buildings in Pretoria in 1956, in protest against the repressive Pass Laws. Women from all across the country marched, led by four stalwarts of the women's movement and the anti-apartheid struggle: Lilian Ngoyi, Helen Joseph, Rahima Moosa and Sophia Williams-de Bruyn. These women and their various community organisations organised a march of this scale in an era without the Internet, without WhatsApp, without cell phones – sometimes even without access to landlines. Messages, instructions and organisational details were spread around the country by dedicated people driving to the most remote regions. On the day, over 20 000 women arrived from across the land, each one with a strong understanding of why they were there. Besides the march being by default an anti-apartheid event, it was aimed particularly at the proposed extension of the notorious Pass Laws to women, which would have made it even more difficult to work and raise their families. A petition was left outside the office of JG Strijdom, the then prime minister – he had refused to accept it in person. The march became most important mass mobilisation of women in our history, and for this reason we commemorate it each year. The other reason why we commemorate Women's Day, is to remind ourselves and others of the enormous challenges that still face the girl child in South Africa. Women's Day is also about focusing on these issues in a continual effort to remove them. The most obvious and, to be honest, horrific reality facing the girl child is the threat of or actual physical harassment, abuse and violence. Our country has a relatively high level of these maladies and eradicating violence and abuse against women is and must remain a national priority. The girl child is also vulnerable to the consequences of teen pregnancy, particularly the interruption of her education. Education is such an important aspect of our developing country that this can have a lifelong negative effect on the woman. Proper, accurate and widespread sexual education and access to contraception still needs to be rolled out more comprehensively across our country. It also often falls to the girl child to play the role of surrogate mother in the home, especially due to the AIDS pandemic. These girls have to deal with the dual disaster of becoming orphans at an early age, and having to look after their siblings. We need to create far more effective support systems for these young girls. There are many other issues facing the girl child and women in general in our society, but the final one I'd like to focus on is the patriarchal system itself. Many of our cultural norms are still biased against women, because they come from an outdated era before we developed the more sophisticated human values that we now emphasise. Women from all walks of life will tell us of everyday incidents that underline the extra challenges that they face compared with men. For example, the automatic assumption that an engineer we are going to meet will be male, or the way we encourage boys to be scientists more than we encourage girls. So let's all use this Women's Day – in fact, this entire Women's Month – to remember the values that the courageous women of 1956 marched for, and to concentrate more than ever on removing the unequal obstacles that women still face in our country. 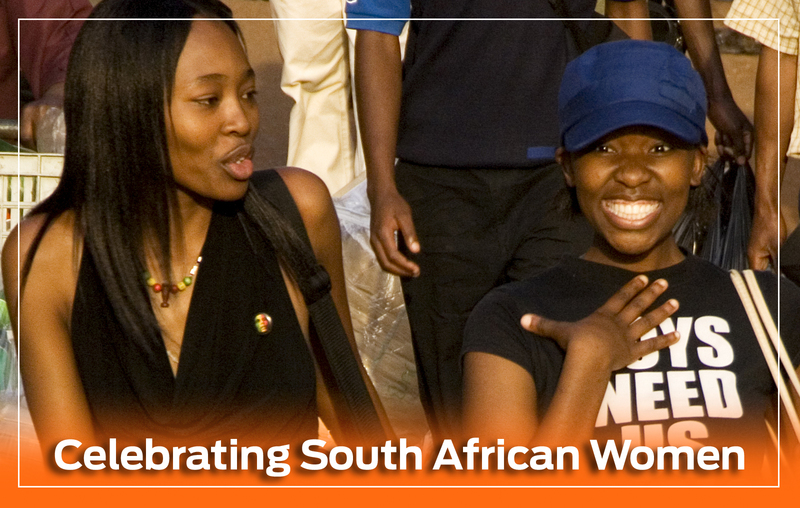 How do you think we can honour Women's Day and create a better society for women? Share it with us here, or tweet us on https://twitter.com/EduloanSA.